United Cutlery S.O.A. 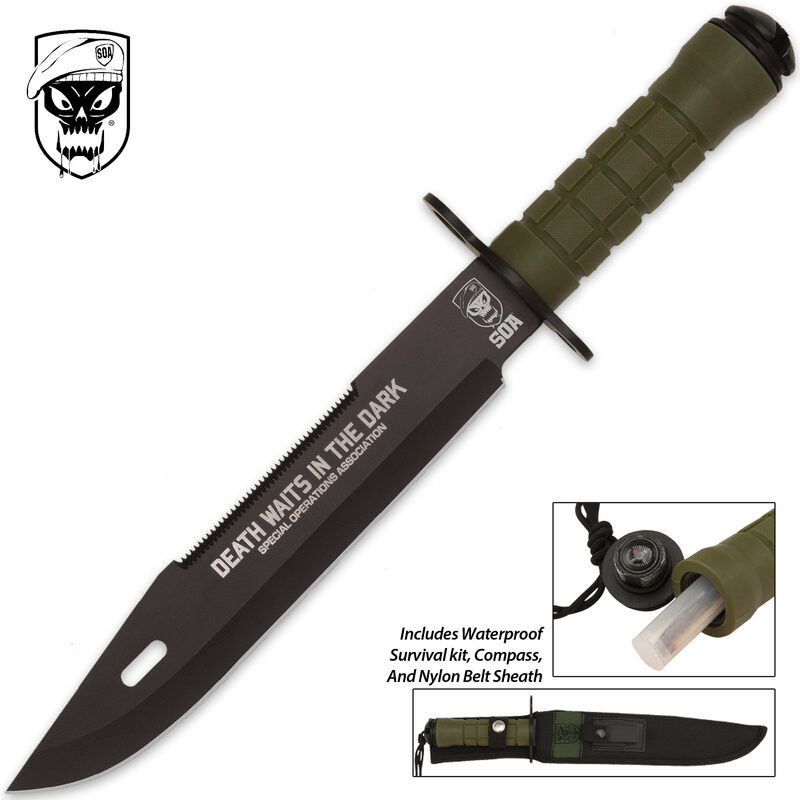 Death In The Dark Survival Knife and Sheath | BUDK.com - Knives & Swords At The Lowest Prices! 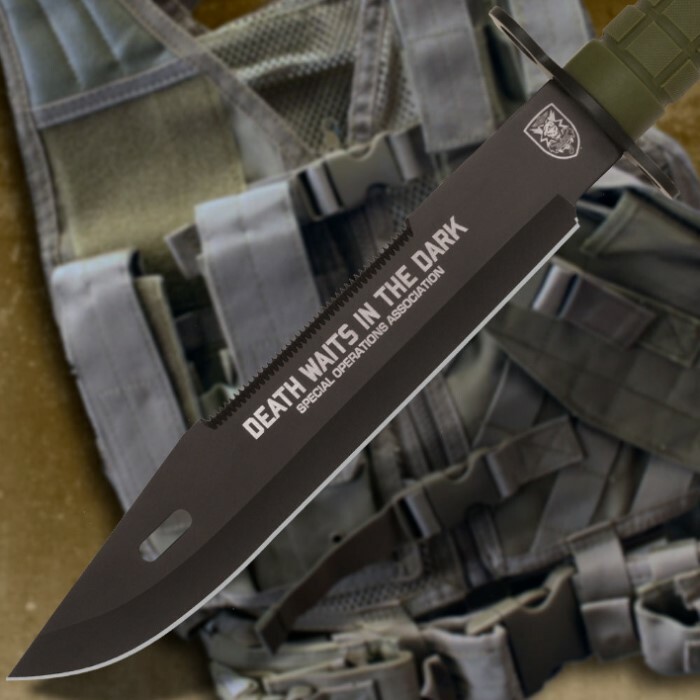 Enemies of the free world have found that "Death Waits In The Dark" when the Special Operations soldiers come knocking. This S.O.A. Survival knife features a full-tang 9 3/4" stainless steel blade with an anti-corrosion, baked-on black finish. An over-molded rubberized handle will keep this knife gripped firmly in your hand at all times. Open up the handle to find a survival kit complete with a waterproof compartment, fishing line, a hook, three matches, a suture kit, compass and a razor blade. Includes high-quality nylon belt sheath with reinforced liner. 15" overall.